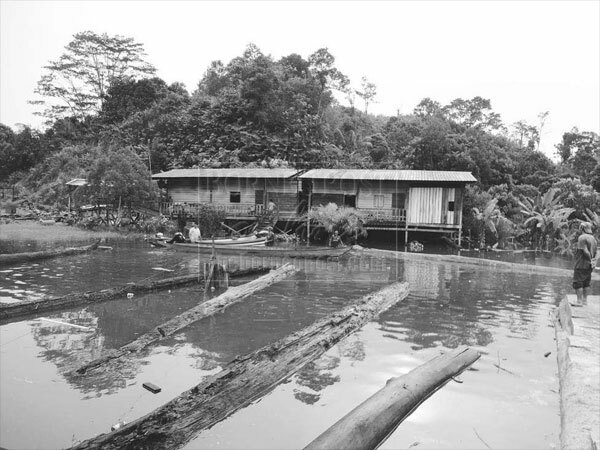 Suara Sarawak: Global Day Of Action – Support Sarawak Against Dam Destruction! Global Day Of Action – Support Sarawak Against Dam Destruction! Malaysian cartoonist Zunar summarises Taib’s real vision for Murum and the 50 dam projects behind SCORE with one simple $ symbol. This weekend campaigners in Sarawak and Malaysia signal the start of a month of international awareness action about the global warming crisis. They are focusing their concern on the “insane” mega dams policy of Sarawak. In a statement, supported by numerous Malaysian NGOs, the group have lambasted Taib’s ill-conceived and outdated policy of building of up to 50 dams in the state, with the supposed purpose of turning Sarawak into an ‘industrial production centre’. The campaigners target the laughable claims that Taib’s vision for one of the world’s remaining rain forests is ‘eco-friendly’ and they explain that these dams are not only environmentally destructive, but would also contribute hugely to international problems of global warming. This is because putrid dam waters (particularly in tropical rain forest areas) pour tons of methane gas into the atmosphere. In his combined role as the godfather of timber corruption; the main driver of illegal land grabs for oil palm plantation and now architect of the plans for 50 mega-dams in Sarawak, we nominate Abdul Taib Mahmud for the position of Top Global Eco-Criminal in the world today. Climate change is the biggest humankind crisis of global proportions. How dare minister James Masing accuse NGOs of ‘using children’ to feature the distressed, displaced communities, whom his corrupted government has treated so shabbily? The latest report of the Inter-governmental Panel on Climate Change (IPCC) concluded that ‘’warming of the climate system is unequivocal’’ and ‘’limiting climate change will require substantial and sustained reductions of greenhouse gas emissions’’. While we acknowledge that Malaysia, as a developing country, has contributed less to the problem compared to industrialised countries, we still have to shoulder our share of responsibilities in the collective fight against climate change. We also have to ensure that the solutions proposed are appropriate. In the run-up to the next United Nations climate talks in November in Warsaw, the Global Campaign to Demand for Climate Justice (GCDCJ) is calling on citizens around the world to denounce dirty energy projects and to demand for a transformation of energy systems. Taib’s nightmare vision for Murum is already flooding through the valleys… Baram is next as the machinery is already moving from over from the Murum site. “Unfortunately, the Malaysian state of Sarawak is guilty of promoting one of such false solutions – mega dam – to the detriment of not only the climate and the environment but also unjustly displacing more indigenous communities with this grandiose plan. We, the undersigned civil society organisations and concerned individuals in West Malaysia and Sabah, support the GCDCJ’s Reclaim Power! Global Month of Action on Energy which is dedicating today (Oct 12) as the action day against mega dams and harmful hydro projects. In solidarity with our fellow Malaysians in Sarawak, we reject the Sarawak government’s policy in exploiting the hydro potential of the rivers and trying to pass it off as sustainable, renewable energy. The state government is justifying its mega dam development policy in support of the Sarawak Corridor for Renewable Energy (SCORE) industrialisation plan, purportedly to elevate its people out of poverty. The benefits of mega dams had long been debunked and studies had shown that the release of methane from rotting organic matters as a result of damming the rivers is contributing to global warming. Methane is a potent greenhouse gas with a 20 times global warming potential compared to carbon dioxide. Large swathes of forests, which acts as carbon store and absorb carbon, are also sacrificed when they are drowned. It is a great injustice to the indigenous communities that are forced to relocate to make way for these energy projects that they are robbed of their native customary rights to land, their livelihoods and their cultural identity, yet ironically, denied their basic rights to electricity. Furthermore, it is a double insult to them when SCORE boasts of being able to attract investors with cheap electricity generated by these dams. 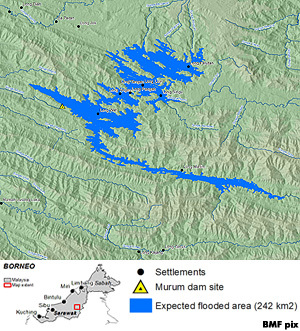 From the controversial Bakun Dam to the current crisis at the soon-to-be completed Murum Dam, and to the insistence to construct Baram Dam despite the peoples’ clear objection, the state government has amply shown to the world that it will continue with the development model that worsen climate change and trample on the rights of the indigenous peoples. We call upon both the Sarawak state and Federal governments to address the electricity needs of the indigenous communities by exploring genuine and sustainable form of energy systems such as off-grid, stand alone renewable energy projects. We further condemn the conversion of the precious river resources into cheap energy and the immoral sale of these energy sources to dirty industries like aluminium and manganese smelting under SCORE. I think that one of the best way to change the mindsets of the rural folks in East Malaysia is to improve their standard of living. Perhaps one of the things that can be done is to encourage cottage industries among their communities. Industries like handicraft, pottery etc that can be sold locally or even in West Malaysia will most certainly bring much needed income to them and wean them off the handouts from the government. Secondly, city folks in East Malaysia with kin in the hinterland can also inform them about the myriad injustices done by the ruling party. Better still if they can bring recorded evidence from those who have actually suffered such injustices like land grap etc.